This article is about the NPC added by Dawnguard. For the NPC in Markarth, see Morven. Morven Stroud is a Breton trader from High Rock whose soul was trapped before his death. He unknowingly brought fake ingredients to a coven of necromancers, who killed him, therefore trapping his soul in the Soul Cairn. He can be found to the east of the gap in the large wall which runs through the center of the Soul Cairn, standing in front of a building. The ruins of his cart lie behind him. When asked about what little he has left, he offers to trade you a piece of leveled gear for 25 soul husks. Sword "A wondrous blade... ahhh, never mind. Just take the darn thing." Battleaxe "I can't believe I'm trading this for some dried up plants. Oh well, a sale's a sale." Light Armor "Well, I hate to see it go, but what am I gonna do with it here anyway?" Heavy Armor "This won't stop your soul from getting ripped out, but at least you'll look good when your corpse hits the ground." Spell Tome "Sure. Here you go. Can't understand a word of it, maybe it will do you some good." Morven's items use the same lists as the very highest tier of randomized rewards in dungeons. This means that the items range from iron weapons and the most basic of spells, to daedric weapons and expert-level spells. This also means that you may receive an iron weapon even at level 100. The swords and battleaxes are always enchanted use equal leveled lists, and within those lists the level of the enchantment increases typically twice and every two levels up elven, and twice and every three levels thereafter. Starting with Iron weapons, Steel becomes available at level 4, Orcish at level 7, Dwarven at level 13, elven at level 20, glass at level 28, ebony at level 37, and daedric at level 47. The very best enchantments on daedric become available at level 53 (e.g. a paralyzing sword "of Stunning" at level 47, a sword "of Immobilizing" at level 50, and a sword "of Petrifying" at level 53). The armor utilizes a different approach but with essentially the same outcome as the weapons. Both heavy and light have five types of armor available, boots, cuirass, gauntlets, helmet, and shield. The level of enchantment increases typically every two levels up to glass/ebony, and three thereafter. Light armor starts with hide, leather is added at level 7, elven at level 13, scaled at level 20, glass at level 37, and dragonscale at level 47; light armor shields simply skip the leather and scaled stages. Heavy armor starts with iron, steel is added at level 7, dwarven at level 13, steel plate at level 19, Orcish at level 26, ebony at level 33, dragonplate at level 41, and daedric at level 49. Light armor's best enchantments are all available at level 53, but heavy armor only tops out at level 55. The spell tomes utilize a much simpler system. Novice spells are always available, apprentice levels spells are available at level 11, adept spells at level 23, and expert spells at level 35. However, none of the spells added by Dawnguard or other DLC are included in the lists. If you are having trouble finding Soul Husks, there is a farmer east of the main castle gate who appears to be growing them. There are 14 growing there. Given that the system used is the same as for dungeons, dragonscale and dragonplate armor suffers from the same disadvantage that makes it twenty times less likely to appear than any other type of armor. Combined with the fact that it will always be enchanted means this is not the best way to farm those pieces. 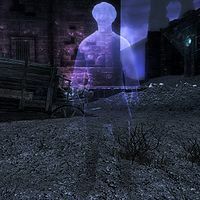 Unlike other ghosts and souls, he is not immune to paralysis. This page was last modified on 9 August 2018, at 08:09.